Crafted with an LED backlight panel, 16:9 100% dot-to-dot image quality, height adjustable stand and BenQ's exclusive Senseye® Technology. The perfect choice for your home setup. 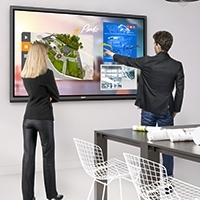 A great solution for office and businesses everywhere. 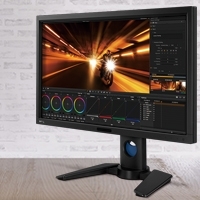 The BenQ GL2450HT brings reliability and a modern touch to your office workstation or home desktop with a layered bezel and crisply shaped oval base which effectively reduces impressions of bulkiness. The height adjustable stand allows you to find the best viewing angles for personal work or screen sharing with an extensive range of monitor adjustments – height, tilt, pivot, and swivel. The bottom of the screen can be as low as 110mm from the base. 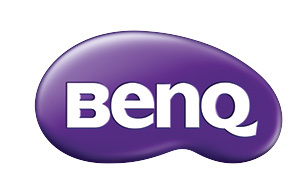 BenQ is the 1st monitor brand to obtain the TÜV Rheinland certification for its Flicker-free technology, which contains a direct-current backlight system. 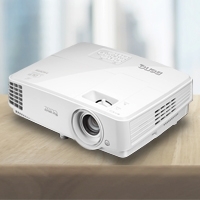 This system reduces the main cause of flickering, and thus provides a more pleasant viewing experience. Whether you're listening to music or watching your favorite film, simply turn on the speakers (2W x 2) and experience audio-visual clarity. Energy-efficient LED panel provides greater power saving by 14.3%* and with with the help of Eco Mode, you can save up to 39.3% compared to G2020HD.